So how is it that evergreens maintain their green year-round, while deciduous trees cycle from leaves to bare branches annually? The magic is in the evolution of evergreen needles. Scientifically speaking, evergreen needles work just like deciduous tree leaves – they absorb sunlight to fuel photosynthesis and work to keep trees alive. Unlike the leaves of deciduous trees (think maple and oak), however, evergreen needles have a special waxy coating that helps them to retain water year-round. Rather than drying out when the landscape cools and freezes, evergreen needles retain moisture and keep their color. Instead of losing needles seasonally, evergreen trees endure an endless cycle of needle loss and regrowth, much like humans experience with hair. Evergreens have adapted their special needle-preserving magic over the course of hundreds of thousands of years. Research has found that evergreen trees originated in the earth’s northern hemisphere, far enough away from the equator that they needed to be able to survive the comparatively short growing season and shorter daylight hours. Eventually, evergreens began to grow needles (essentially tightly-rolled leaves) with waxy coatings, and over time, numerous species have spread all over the colder regions of the earth. 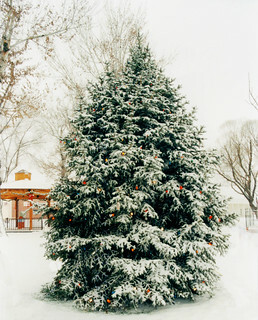 During early winter, evergreens are significant not only because of their ties to Christmas, but because of what they symbolize. Awake and alive amongst an otherwise dead or dormant landscape of trees and plants, evergreens are beacons of life and light during the most difficult time of year. While daylight hours are short, temperatures low, and storms heavy, evergreens stand as reminders of the value of resilience and the need for patience as the earth moves through its natural rhythm. 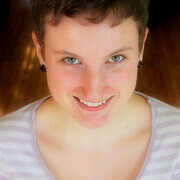 A native to Maine, Robin joined Hilltown Families in early 2011. She is a graduate of Antioch University with a masters in education. Her interests within the field of education include policy and all types of nontraditional education. For her undergraduate project at Hampshire College, Robin researched the importance of connecting public schools with their surrounding communities, especially in rural areas. Robin lives and teaches 5th grade in the Hilltowns of Western MA and serves on the Mary Lyon Foundation Board of Directors.